All drugs are illegal for children, except for some drugs given by doctors. Shopkeepers are not allowed to sell cigarettes to anyone under 16 or alcohol to anyone under 18. 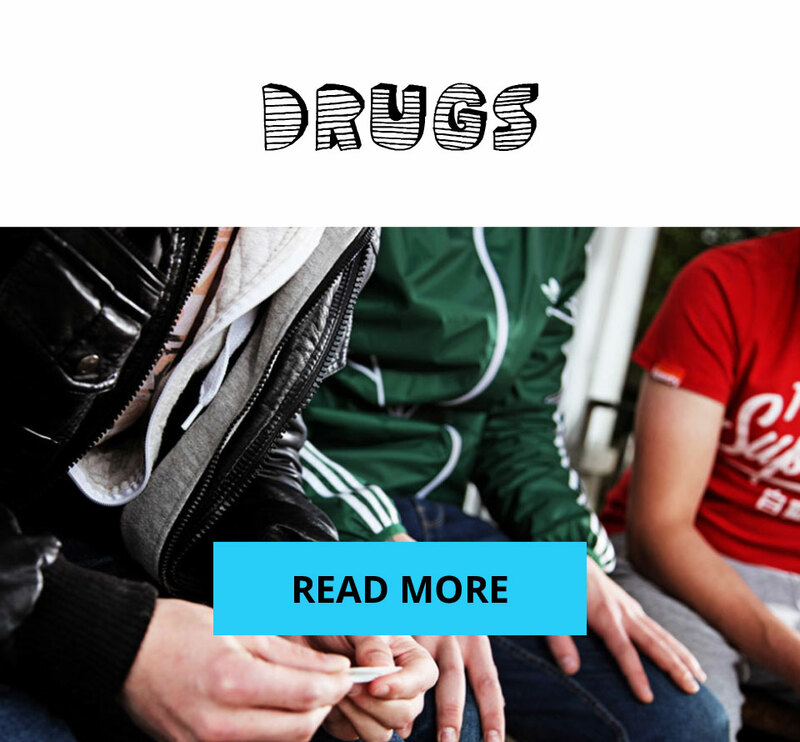 Drugs like heroin, cocaine, ecstasy and cannabis are all illegal. People who take them, sell them or are found with drugs on them are breaking the law and could be arrested by the police and sent to prison. The law divides drugs into three classes – A, B and C. Class A drugs carry the heaviest penalties. Ecstasy, heroin and methadone, LSD, cocaine and crack, magic mushrooms, methamphetamine, PMA, 2CB, amphetamines (if prepared for injection). Possession: Up to 7 years in prison, or a fine, or both. Producing or dealing: Up to life in prison, or a fine, or both. Amphetamines (speed), cannabis, synthetic cannabinoids (such as ‘Spice’) pholcodine, methylphenidate (ritalin), cathinones (including mephedrone). Possession: Up to 5 years in prison, or a fine, or both. Producing or dealing: Up to 14 years in prison, or a fine, or both. Tranquilisers, some painkillers, GHB (gamma hydroxybutyrate), GBL (gamma Butyrolactone) BZP, Ketamine. Possession: Up to 2 years in prison, or a fine, or both.